Because I love St Regis Hotel so much, I decided to dine at TWO St Regis restaurants for Restaurant Week. Yes, TWO in the span of one week, or shall I say 5 days? But of course, this can only happen without robbing the bank, during Restaurant Week. If you haven’t heard of Restaurant Week, you should watch out for the next one in March 2015! And make sure you arm yourself with that American Express Platinum Credit Card to snag the early bird seats. 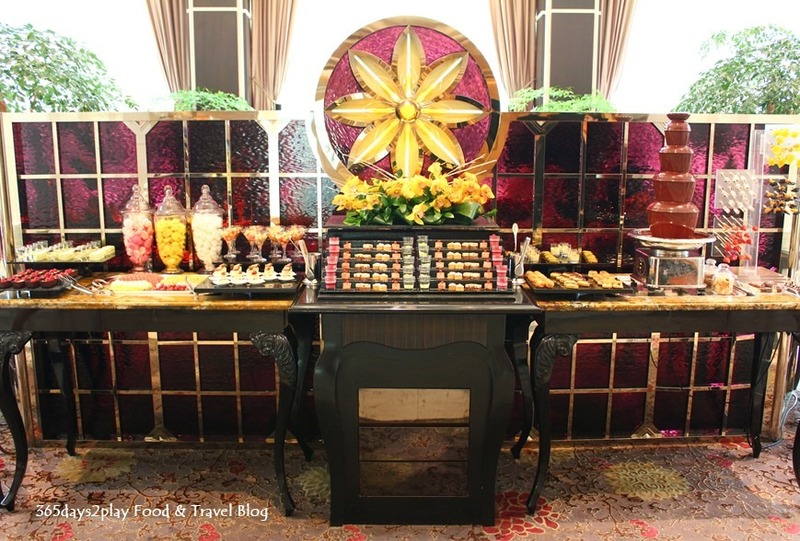 I must say I forgot to peruse the menu in my haste to secure my reservation for Brasserie Les Saveurs and I was pleasantly surprised to find that it was a buffet rather than the usual 3 course set meal. 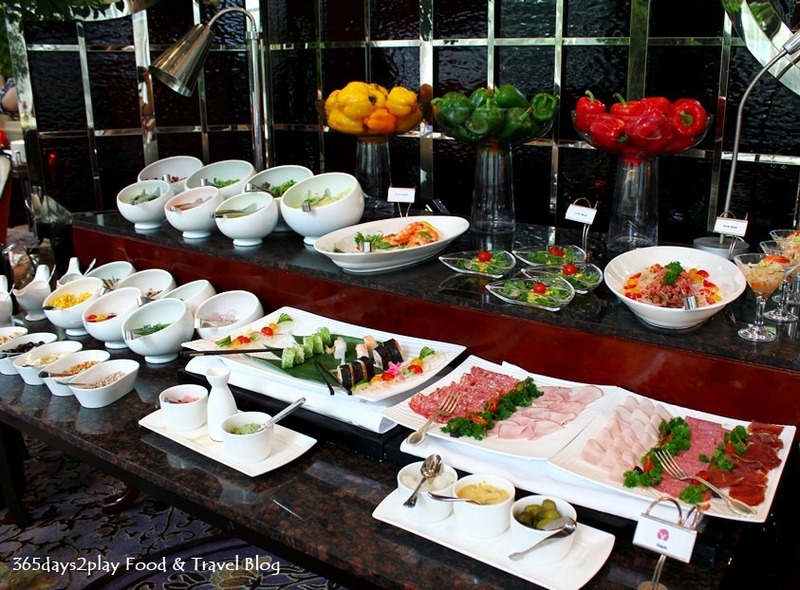 For $40++ for a lunch buffet at St Regis Hotel, is that a steal or what? It even comes with coffee or tea, something which most other Restaurant Week restaurants do not serve. The drink itself may be nothing to shout about, but I’ve always felt it necessary to end a nice meal with a hot cuppa, just to slow things down, enjoy the ambience and round off any remaining conversation. 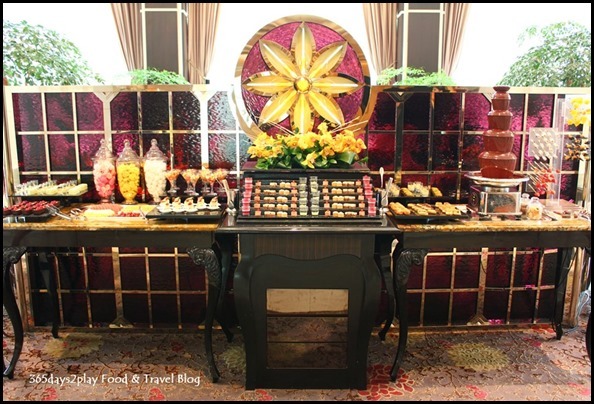 This was what greeted us at the front entrance, the strategically placed dessert buffet counter. A strategic move, and well played if I may say so. 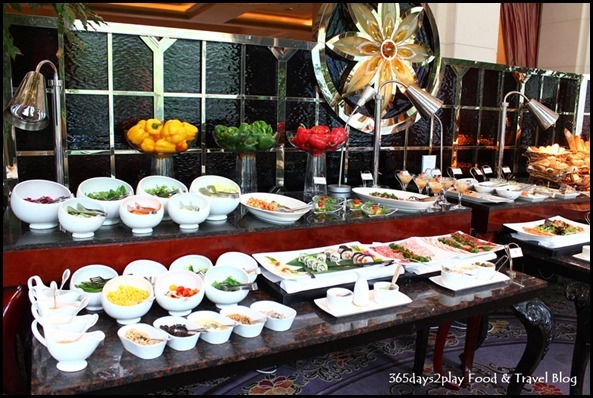 Whenever I go for buffets, I find myself going for multiple rounds at the cold cuts and salad sections rather than the main courses. 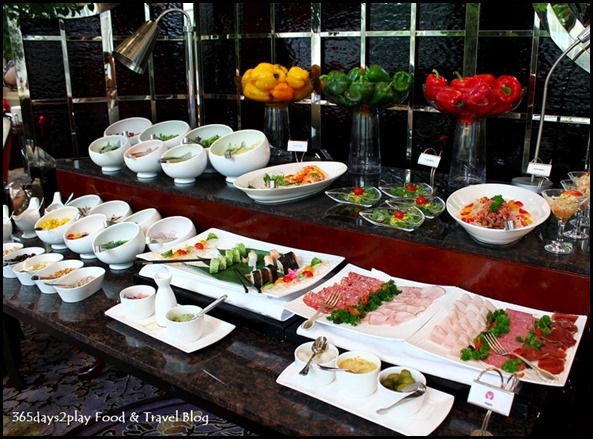 Love all those tasty smoked meats and the refreshing zesty prawn or sashimi salads. 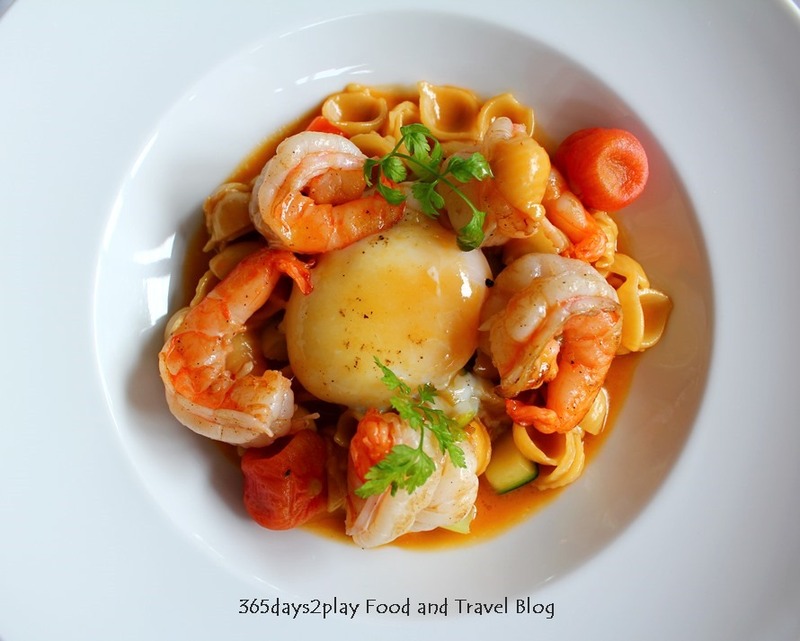 JAAN Restaurant at 50% discount! It’s no secret that I love dining at fine-dining restaurants, I love the effort the chef displays in every dish that is presented, I love the attentive service and ambience, I love how the 3 hour meal feels like a long luxurious session perfect for catching up with the Partner. I what I do hate though, is the bill after the meal! Sometimes it’s expensive enough to shock you into indigestion straight away! But now, with the Amex Platinum Card, you can enjoy up to 50% discount when you dine at many of Singapore’s illustrious restaurants. Take for example our visit to JAAN at Swissotel, the bill was a whopping $400+, but with the Amex Platinum Card, we only paid half the price. Enjoy 15% savings on drinks* at some of the island’s trendiest bars. 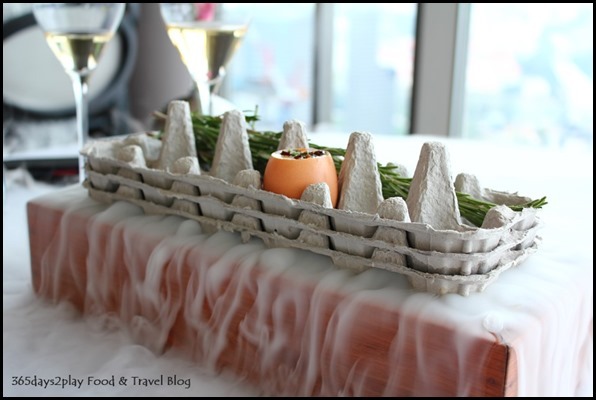 Enjoy year-round savings of up to 50% on dining for unlimited visits at your choice of 11 restaurants at Fairmont Singapore, Swissôtel the Stamford Singapore, Equinox Complex and Swissôtel Merchant Court. American Express Selects® – Enjoy up to 50% savings* with American Express Selects at a wide selection of restaurants in Singapore and around the world. And that’s just the dining privileges! There are also movie discounts, spa discounts, golfing and shopping privileges! Lucky Draw Promotion (exclusively for Platinum Card Members): From now till 9 Nov 2014, you can also be one of the 5 lucky winners every day to win S$100 worth of dining vouchers (TungLok dining vouchers for Monday to Saturday draws and Fairmont dining vouchers for Sunday draws). Every receipt above S$50 earns you one chance to win. Enjoy double the chances when you spend S$50 or more in a single receipt at any The Far Card or Palate establishment. 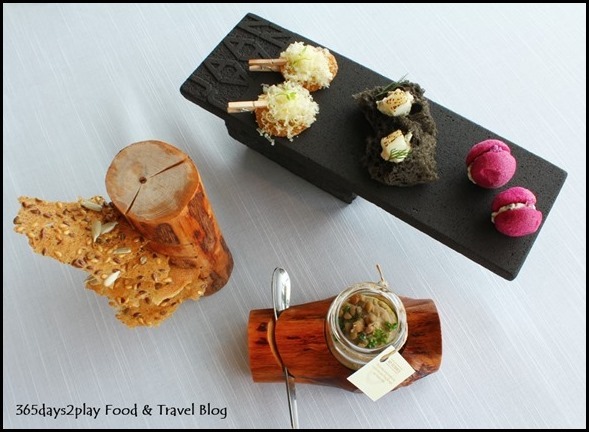 Anyway, the proof is in the eating so let’s get down to the experience we had at JAAN. JAAN is a lovely restaurant helmed by Chef Julien Royer. 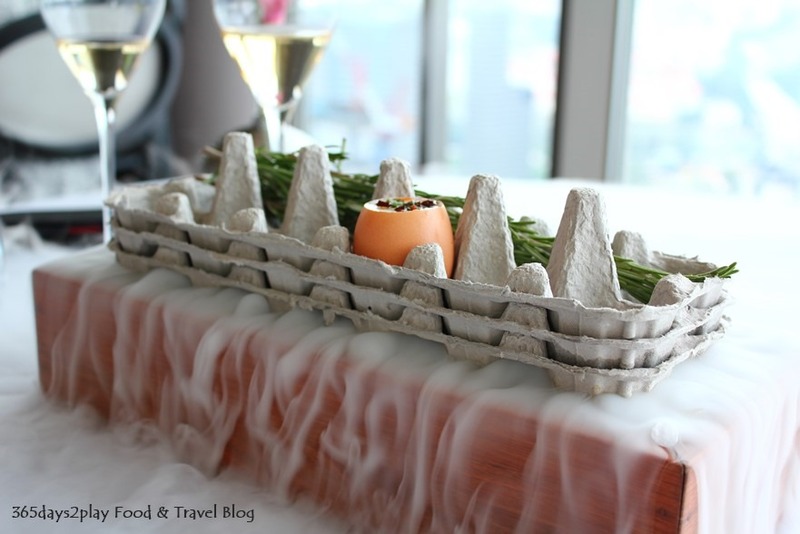 Being on the top floor of the Swissotel, it’s a really nice place to have a romantic dinner or an important birthday celebration. Derived from the ancient Sanskrit word for ‘bowl’, JAAN is an intimate, 40-seat restaurant dedicated to showcasing the finest in Artisanal French cuisine in Singapore. 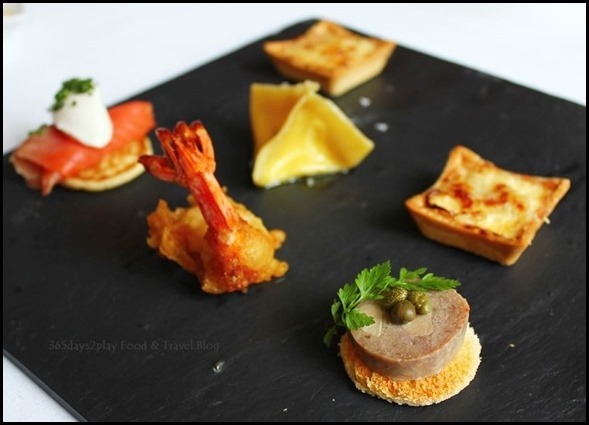 The Amuse bouche, or several of them to be exact, to kick start the meal. Absolutely loved those cheese crackers and mini macarons. If you know me, you’d know that I love dining at French restaurants. I love the immaculate looking dishes and I love the exemplary service that often comes with dining at such restaurants. Yes, it’s not cheap, but just as you would spend money to entertain yourself at the movies, the same could be said about spending it at a restaurant to get several hours of enjoyment. 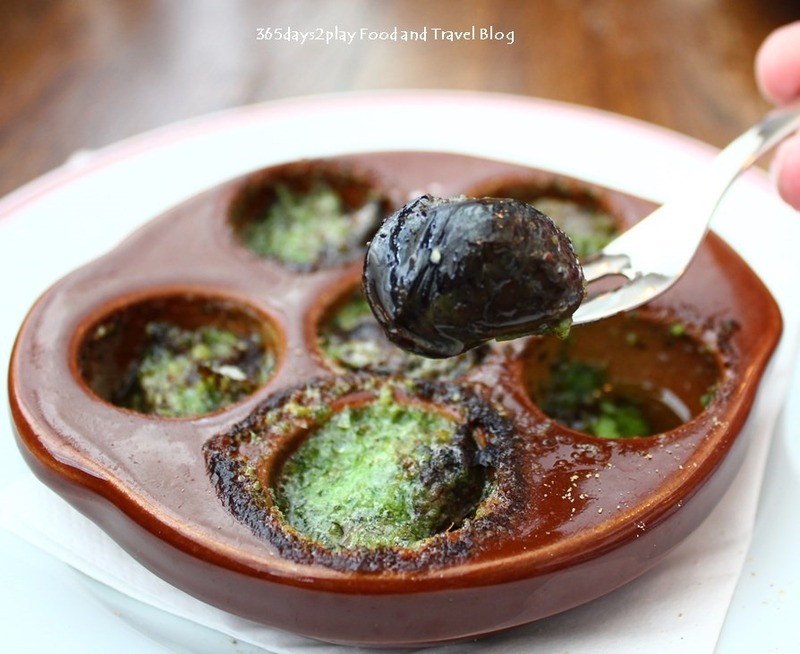 One of my favourite French restaurants has got to be Absinthe Restaurant Francais. Tried them once when they were still at Bukit Pasoh, and tried them once more for dinner after they had moved to Boat Quay. Third time lucky, I had the opportunity to partake in lunch this time round. Absinthe is one of the few restaurants along Boat Quay that is open for lunch on the weekends. There is a special Saturday ala carte menu which is slightly more affordable as compared to the dinner menus. Saturday lunch is a good opportunity to check out Absinthe, especially if you want a more light-hearted atmosphere. Come in the evening and you probably feel like you have to know which fork or knife to use, or feel like you have to keep your voice down. Although after 3 glasses of wine, everyone forgets about that. I love canapes and so this was a great order for me. Come to think of it, you can’t really get finger food served like this on a menu. You either get these at cocktails (of which is at the whim and fancy of the host of the event), or you are served 1 or 2 items as amuse bouche. 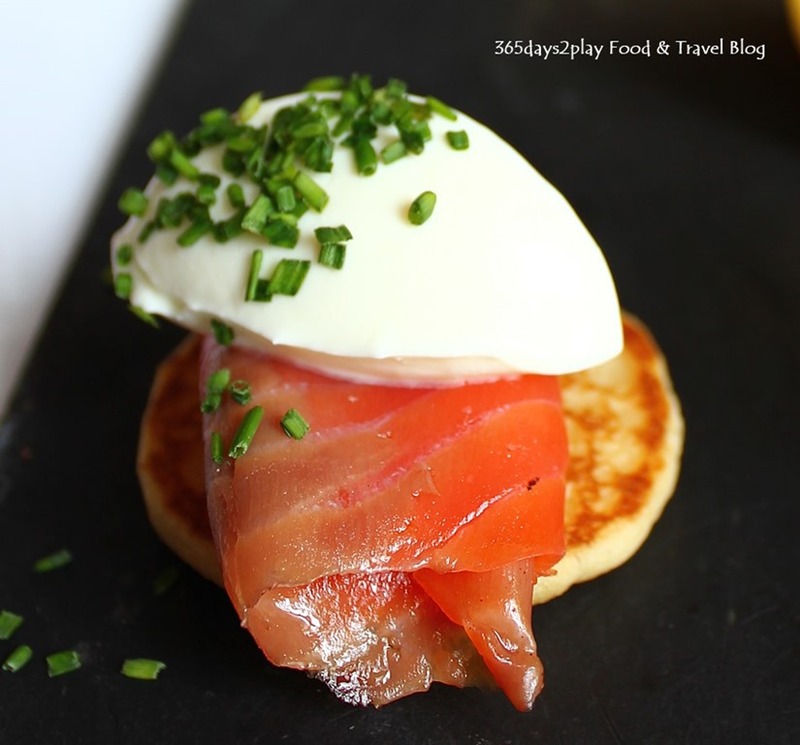 Closer look of the smoked salmon with sour cream on a blini aka mini pancake. 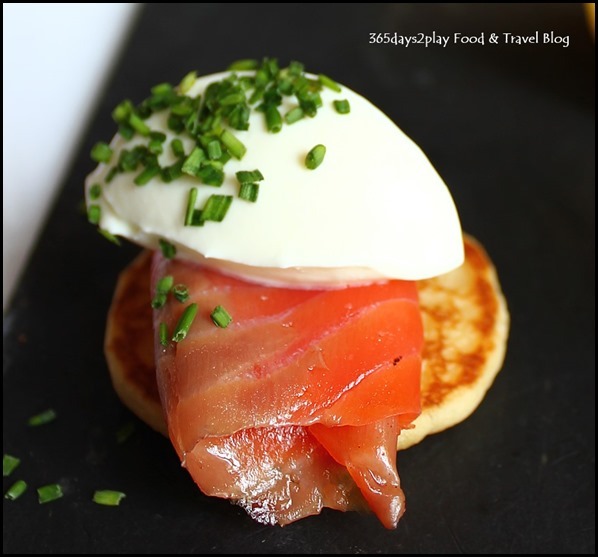 As what my UK Canapés Expert friend would say, it’s hard to go wrong with smoked salmon! Balzac Brasserie is a French restaurant that doesn’t require you to rob a bank before you dine here. 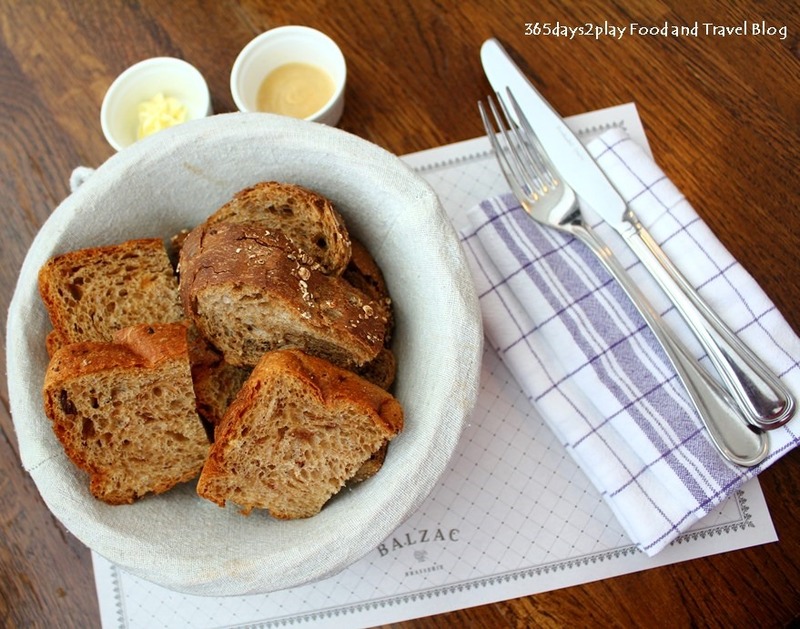 Balzac Brasserie is helmed by the award winning Chef Jean-Charles Dubois from Angers in Loire Valley, France. 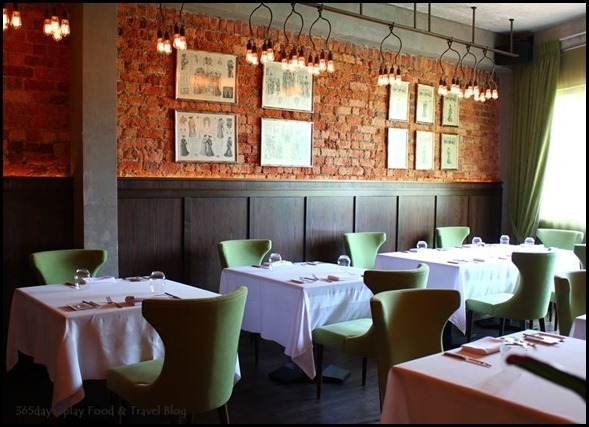 What is served here is rustic style, inspired from his own family recipes and his signature dishes include Lobster Bisque, Wagyu beef cheeks and Rice pudding. The French bistro decor is really nice, and makes me feel like I’m in the middle of a street in Paris. Most of the furnishings here were imported from Paris in fact. When it comes to birthday celebrations, one birthday meal is not enough for me! I like to celebrate my birthday over SEVERAL meals, kinda like 12 days of Christmas or 15 days of Chinese New Year you know. The previous post on Au Jardin Restaurant was my birthday meal with just the Partner, on the exact birthday. But prior to that, I already had another birthday meal together with the Partner and my parents, and that was at Balzac Brasserie. I’m kinda on a French restaurant / fine dining streak lately (which means $2.50 mixed rice on week days). I’d been here once before back in 2012, for the launch of a French bubbly, Jaillance, which I subsequently used for my wedding! It’s a wonder I took so long to return! Inviting bread basket to start the meal. They had raisin bread and multigrain bread. The breads were quite tasty and we even asked for a refill. They were particularly useful in mopping up the escargot juices as you will soon see. Did you know that Au Jardin at the Singapore Botanic Gardens will be closing soon? 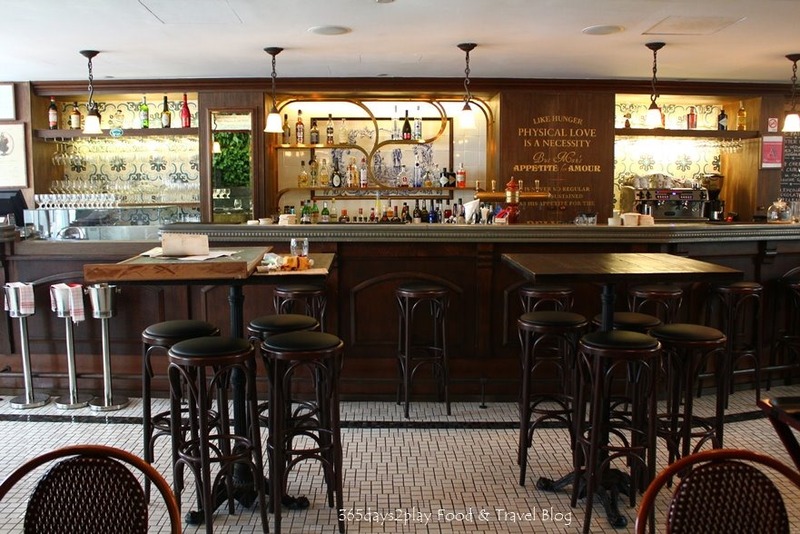 You probably have less than a month to dine there and bid it adieu! I was so glad to be able to dine at Au Jardin one last time, for my birthday celebration last week. Au Jardin has a special place in my heart for many reasons. 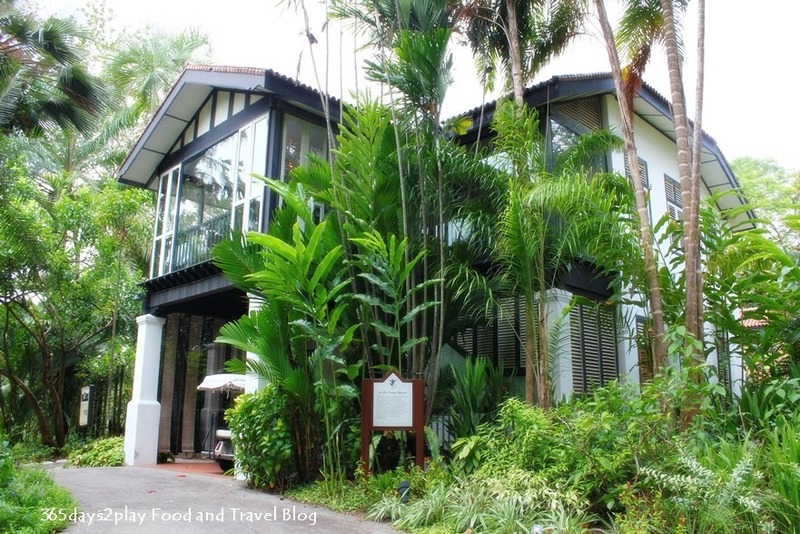 The most obvious reason is that it’s such a beautiful restaurant, sited in EJH Corner House, a conservation status black and white colonial building formerly occupied by the Assistant Director of the Singapore Botanic Gardens. And of course, the Singapore Botanic Gardens, Singapore’s most illustrious garden park, may soon receive the UNESCO world heritage site status! I have been to Au Jardin countless times for business, but only once previously for a leisurely meal. Visiting Au Jardin again this time round for my birthday was bittersweet. Even though I have been here many times, the feeling of stepping into this time capsule once again was no less magical. The food here is great, service exemplary, and the ambience is hard to beat. I dare say no other place in Singapore quite exudes such a unique character and history as this restaurant. I will be sad to see Au Jardin go, and I’m sure many who have experienced the hospitality of Au Jardin will feel the same. If it’s any consolation, EJH Corner House will still remain the same though, at least facade wise, as this is a conservation status building. A new restaurant will take over the space, so watch out for my review in time to come. We were there for the set lunch. 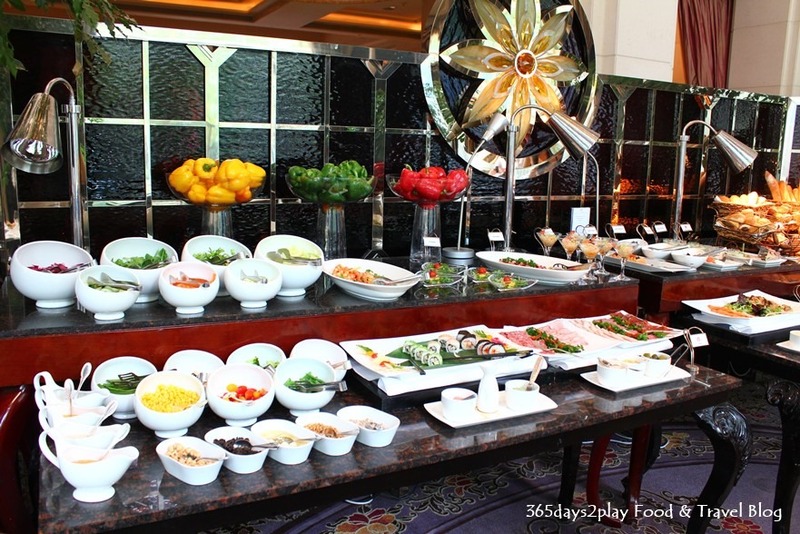 Compared to the dinner ala carte menu, the set lunch is much more wallet friendly at $45++. It’s a 3 course meal plus petit fours and coffee or tea. I would have loved to savour the meal over 3 hours, like I always do when it comes to fine-dining, but alas the Partner had to go back to work!